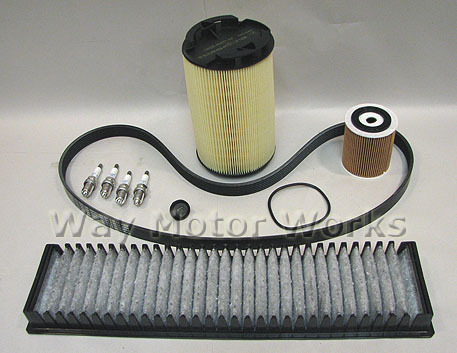 JCW MINI Cooper S Inspection 2 kit for 2002-2006 R53 MINI Cooper S and 2005-2008 R52 MINI Cooper S Cabrio with the John Cooper Works Engine kit. This package contains all the original OEM MINI parts you need to complete the inspection 2 service on your R52 R53 MINI Cooper S JCW. Do it yourself and save.